The Final Four is always such an exciting time for European basketball fans but the Saturday is a day for looking back and of course, looking forward. Two sets of fans may be nursing a hangover today but they’ll be keen to look back on the previous day with joy and with an analytical mind in the hope of plotting a victory in the big game on Sunday. The other two sets of fans may also be nursing a hangover at this point but they’ll only be looking for the weekend to be over. The Final Four weekend is a tremendous run of days but when you lose the semi-final match, it can seem like a long and painful weekend. 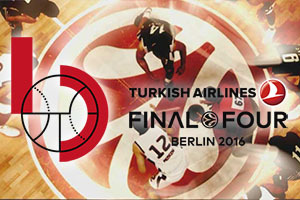 The Turkish team will be playing for the Euroleague title for the first time in their history but it took an almighty display of basketball to get them there. It was an overtime victory over their Spanish opponents that made the difference in Berlin on Friday night but it doesn’t matter how you win a semi, the only thing that matters is winning the game. Bogdan Bogdanovic was the key man for Fenerbahce with 18 points on the evening but 9 of these came in overtime, ensuring his team had something big to play for at the close of the weekend. The Turkish side enjoyed a flying start, opening up a 13-0 lead but Laboral bounced back with a 2-13 scoring run and we knew that we were in for a fantastic evening of basketball action. 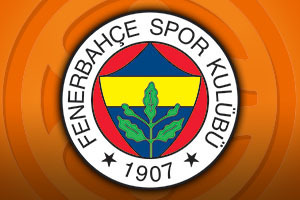 Fenerbahce pulled away on two further occasions but every time they did, the Spaniards hauled them back. There was 11 points from Ioannis Bourousis to drag the score back to 25-22 and then just before half-time, 8 points from Darius Adams provided Laboral with the impetus for a 4-11 scoring run which left the score at 41-40 at half-time. In the second half, things were tighter but a good run of form from the Greek player Bourousis straddling the third and fourth quarter, Laboral took a 7 point lead. This looked as though it may have been enough to see the Spanish side through to the Final but Jan Vesely narrowed the game and Kostas Sloukas took the game into overtime. From this point, Bogdanovic was the key man and it is the Turkish fans that have Sunday to look forward to. Luigi Datome grabbed 15 points while Ekpe Udoh offered up 14 points in the win. Vesely provided 14 points and Sloukas notched 13 points in the win. For Laboral, Bourousis offered up a double-double with 22 points and 10 rebounds. Adams grabbed 19 points, Kim Tillie provided 13 points and Adam Hanga notched 10 points in the loss. In the all-Russian match-up, CSKA Moscow were the team that grabbed the victory and there was a lot to be said for the impact of Nando De Colo. The MVP of the Euroleague Nando De Colo picked up 30 points in a game where CSKA led from start to end. 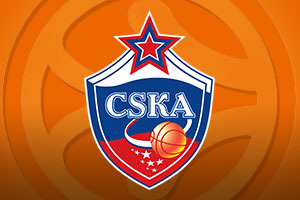 This will be the first time that CSKA are in the Euroleague championship match since 2012 and they will be confident of triumphing in the big finale to the Euroleague season. The 30 points from De Colo set a new record for a semi-final, overtaking the 29 points notched by Ramunas Siskauskas in 2009. CSKA Moscow picked up the first 9 points of the game and in the second quarter, they were 16 points in the lead. At half-time, the score was 47-37 and it wasn’t until the last minute of the game that Lokomotiv got within 6 points of CSKA. In addition to De Colo’s exploits, Vitaly Fridzon offered up 13 points while Malcolm Delaney managed to offer up 26 points for the losing side. Dontaye Draper grabbed 17 points, Anthony Randolph notched 13 points and 11 rebounds, grabbing a double-double, while Ryan Broekhoff picked up 10 points in the defeat.